This net and post set has a 66” wide nylon mesh net. Net slides on to posts for quick and easy installation and includes tension adjuster tabs. 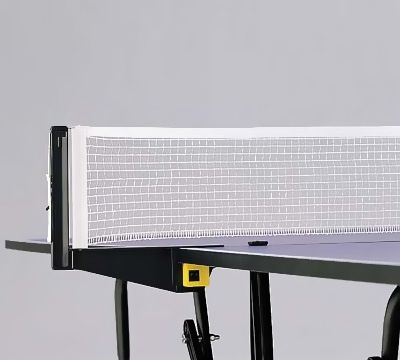 Fits any 16mm (5/8”), 19mm (3/4”), 22mm (7/8”), and 25mm (1”) thick table tennis tops.